Samsung Gulf Electronics introduced the much anticipated Galaxy Note8 in Bahrain. The next level Galaxy Note8 empowers consumers with a bigger Infinity Display that fits comfortably in one hand, an S Pen to communicate in more personal ways, and Samsung’s best-ever smartphone camera to capture stunning photos. 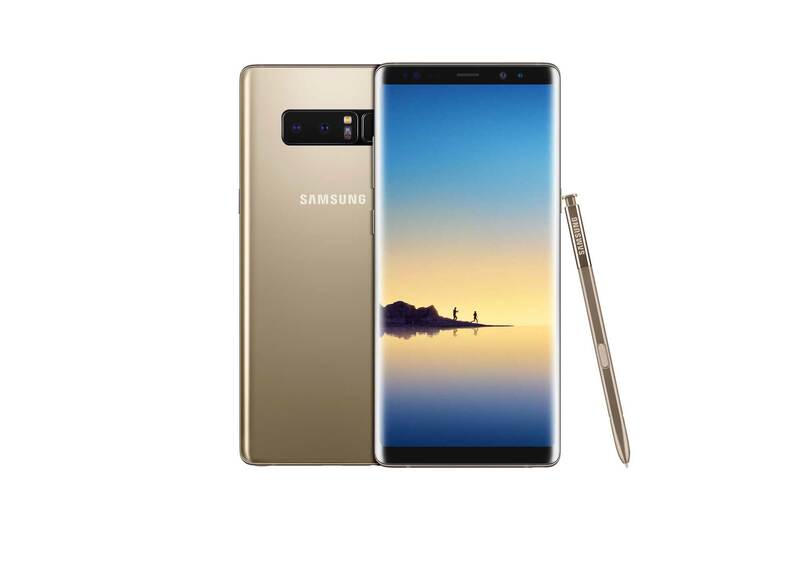 In addition to its incredible features, the new Galaxy Note8 also enables users through “Samsung Members” – a preloaded app offering experiences linked to Gulf consumers’ passion points, through a new partnership with Marriott International Middle East & Africa and Cleartrip. Consumers who purchase the Galaxy Note8 in the UAE, Qatar, Oman, Kuwait and Bahrain will enjoy exclusive “Samsung Members” offers from Marriott hotel, restaurants and spas and Cleartrip. Enjoy and Do More on the Infinity Display – The Galaxy Note8 has the biggest screen ever on a Note device, yet its narrow body makes it comfortable to hold in one hand. The 6.3-inch Quad HD+ Super AMOLED Infinity Display lets you see more and scroll less. The Galaxy Note8 also gives you more room to watch, read and draw—making it the ultimate multitasking smartphone and the new App Pair lets you simultaneously launch two apps with ease. A New Way to Communicate with the S Pen – One of the Note’s defining features the enhanced S Pen unlocks entirely new ways to write, draw, and interact with the phone and communicate with friends on the Galaxy Note8. It has a finer tip, improved pressure sensitivity, and features that enable users to express themselves in ways that no other stylus or smartphone ever has. For overseas travels or when you come across a website in a foreign language, the improved S Pen Translate feature lets you hover over text to quickly translate, and instantly convert units and foreign currencies. Better Pictures with Galaxy Note8’s Best-in-Class Camera – The Galaxy Note8 is the first smartphone with two 12MP rear cameras with Optical Image Stabilization (OIS) on both, the wide-angle and telephoto lenses. For more advanced photo-taking, the Galaxy Note8’s Live Focus feature lets you control the depth of field by allowing you to adjust the bokeh effect in preview mode and after you take the photo. The wide-angle lens has a Dual Pixel sensor with rapid Auto Focus, so you can capture sharper, clearer shots even in low-light environments. The Galaxy Note8 is also equipped with an industry-leading 8MP Smart Auto Focus front-facing camera for sharp selfies and video chats. A New Way to Innovative Mobile Experiences: Samsung DeX enables a desktop experience, powered by your phone. You can keep your files on your device, conduct work on the go, and use Samsung DeX when you need an even bigger screen. The Galaxy Note8 includes Bixby, a smarter way to use your phone; it learns from you, improves over time, and helps you get more done. The Galaxy Note8 will be available across all major retailers in Bahrain starting 22nd September 2017 at BHD 355 in three distinct colors; Midnight Black, Orchid Gray and Maple Gold.